I want to get healthier and thrive every day. Our delicious shakes go way beyond the minimum daily requirements giving you more of the essential vitamins, minerals and herbs your body needs. Core nutrition is at the center of everything we do. 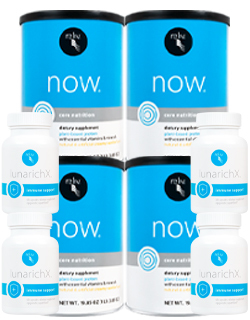 I need nutrition that's personalized for me. Make your shake work for you. Customize your daily Core Nutrition shake with Targeted Solutions that meet your health and fitness goals. Our Targeted Solutions are designed to work with any of our Core Nutrition shakes.